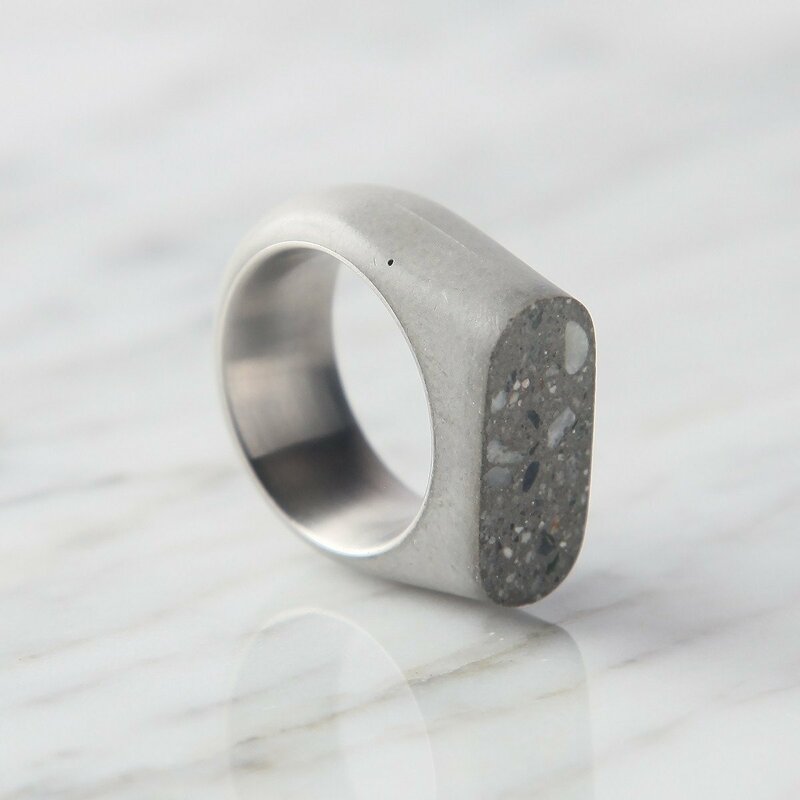 Inspired by the city of Taipei, the concrete rings designed by the 22 studio blend timeless elegance, minimalist design and the distinct beauty of the urban material to offer a creative alternative to classic rings. Through its play on textures and finishes, the Upright Ring references a philosophy of facing the world with confidence and boldness while maintaining privacy. The top section features an eye-catching terrazzo effect, with Yilan stone fragments mixed in with high-density concrete. 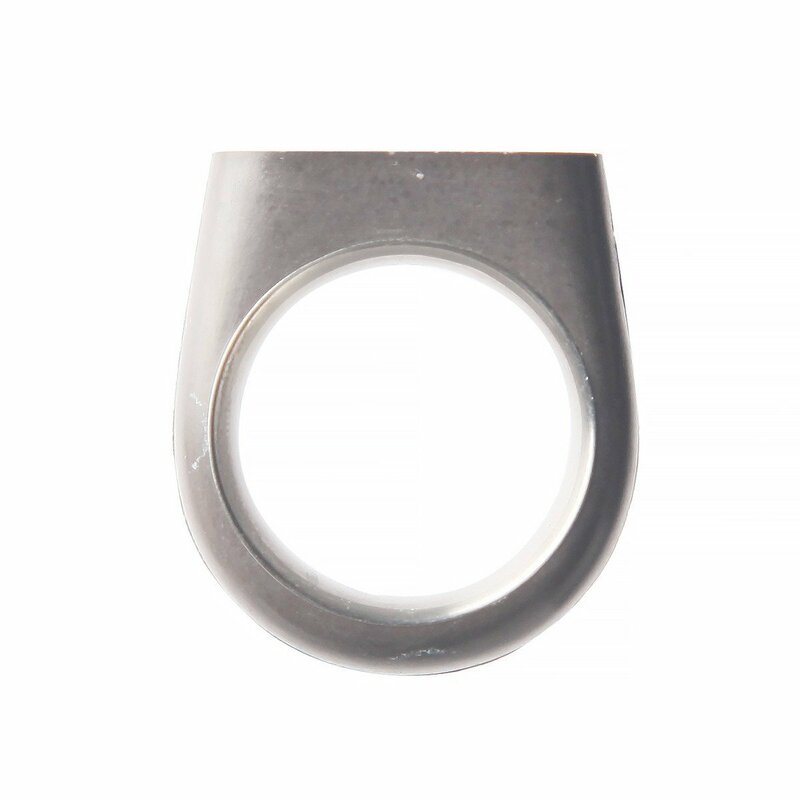 The rest of the ring boasts polished surfaces, including across the stainless steel interior. Available in seven sizes and two colors, original and dark gray.